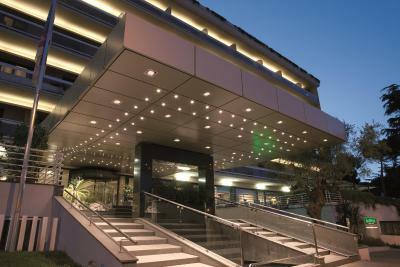 Lock in a great price for Courtyard by Marriott Rome Central Park – rated 8.4 by recent guests! Since the hotel is so far away from everything they do have a shuttle for euros one way. Breakfast was pretty good. The service was Aaaaamaaazing Fabrizio was so warm and welcoming. The view was good ..room was with balcony..station is near ..
We arrived to hotel in the morning, without hesitating the staff made the room ready We had a beautiful balcony with beautiful view! Staff were great so helpful! Nice breakfast outdoor sitting was amazing! Very clean! Comfortable bedding. Just next to the hotel there was a beauty saloon which was great since We were off to attend friend wedding next day! The hotel staff were very friendly and very accommodating. Our suite was very roomy and very clean. The restaurant at the terrace had delicious food. I would come back again and stay here. Staff are really helpful. The terrace with view of St Peter. Bathtub experience is also good. 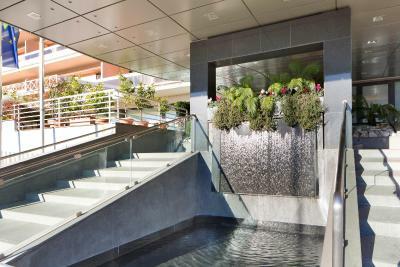 Tranquil area. Quite far from the center. Excellent breakfast. 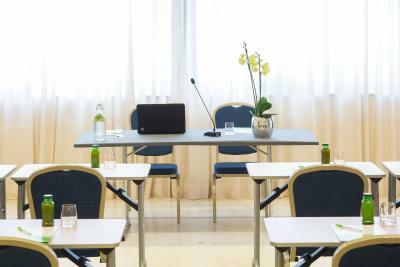 Staff was professional and curteous, room was only adequate. Nothing special. Very professional staff, clean and great location! Restaurants are just walking distance! 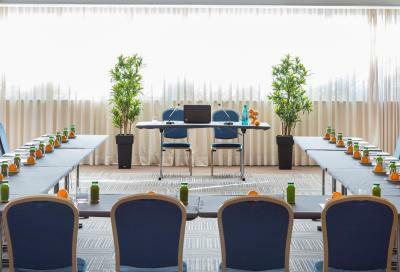 Courtyard by Marriott Rome Central Park This rating is a reflection of how the property compares to the industry standard when it comes to price, facilities and services available. It's based on a self-evaluation by the property. Use this rating to help choose your stay! Overlooking St. Peter’s Dome, Courtyard by Marriott Rome Central Park offers modern and spacious rooms with air conditioning and satellite TV. The hotel's shuttle can take guests to the Vatican in 15 minutes. 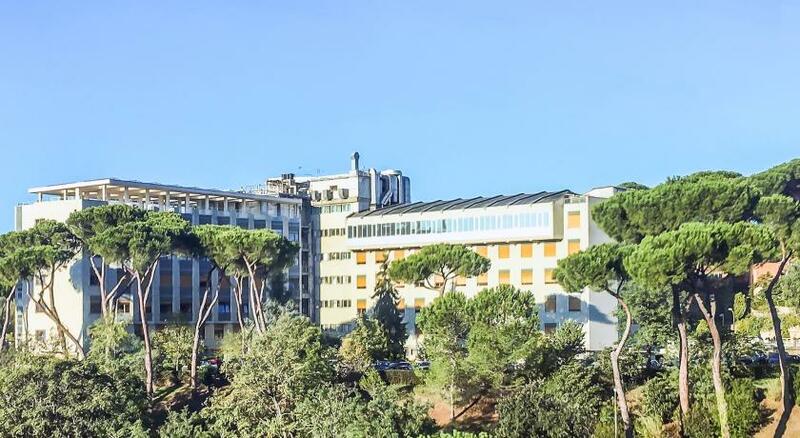 The hotel is also near Gemelli Hospital and Sacro Cuore Catholic University. The FR3 line stops at Gemelli and connects to Valle Aurelia Metro Station on Line A. Public transport provides services to the Auditorium Parco della Musica, the Olympic Stadium, and the Foro Italico. 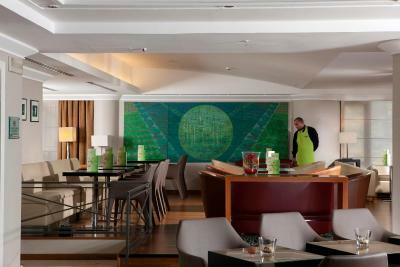 The rooms at this Courtyard by Marriott come with tea and coffee making facilities, an iron and Wi-Fi access. 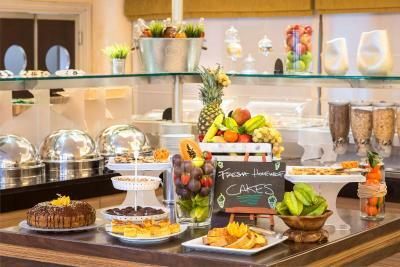 A buffet breakfast is served each morning, and the mini market features a selection of drinks and snacks. 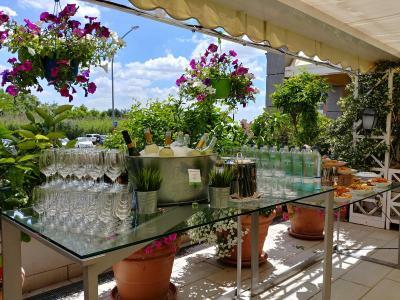 The Moscati restaurant has terraces where guests can dine outdoors. 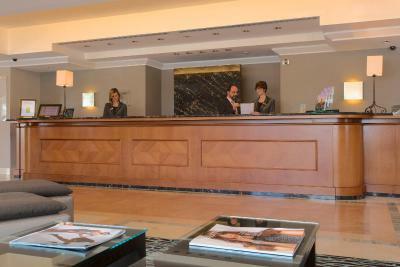 When would you like to stay at Courtyard by Marriott Rome Central Park? This air-conditioned room features a minibar and satellite TV. Some overlook the park and most have a balcony. 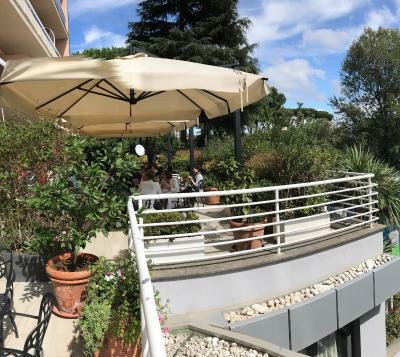 With a balcony overlooking the Vatican, this superior room features coffee and tea making facilities, air conditioning and satellite TV. 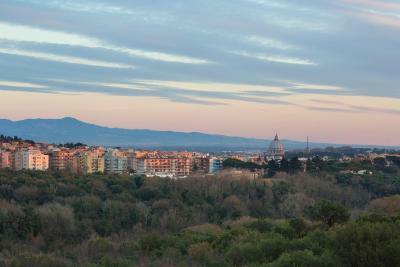 Featuring a balcony overlooking the Vatican, this executive room is set on the higher floors. 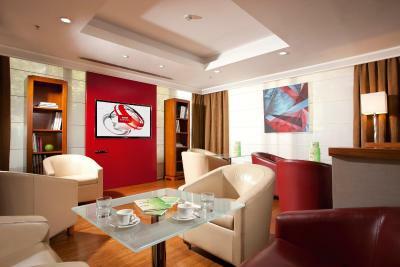 Features coffee and tea-making facilities, and satellite TV. Wired internet is available in the hotel rooms and costs EUR 0.35 per minute. Wired internet is available in public areas and costs EUR 0.35 per minute. WiFi is available in public areas and costs EUR 5 per hour. 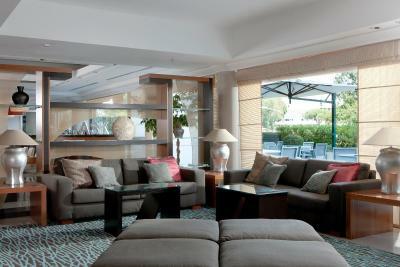 House Rules Courtyard by Marriott Rome Central Park takes special requests – add in the next step! 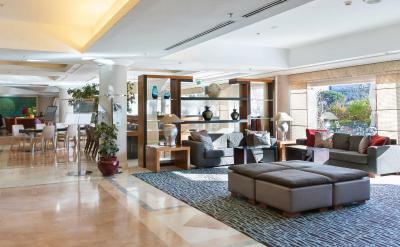 Courtyard by Marriott Rome Central Park accepts these cards and reserves the right to temporarily hold an amount prior to arrival. The bedroom was amazing, 70' style, but perfectly keeped. We had a large balcony with a great view in the green and an efficent bathroom with the shower in the tab. The receptionists were kind, efficent and with a perfect eglish. Rooms not cleaned properly spider webs all around. The bathroom was tiny! There was also a faint odor in the room. Advertised as close to attractions, but far away and inaccessible at peak times. Staff didn’t tell us about mytaxi app until last day there. The staff was excellent, helpful, friendly and kind. The location was perfect for us. The bed was comfortable. Each room has a/c controls. The atmosphere is quite, relaxed and peaceful. They had everything we needed. = Three different Breakfast and three different rates. it could be one with one rate. - Charging for the shuttle, keeping the location of the property. 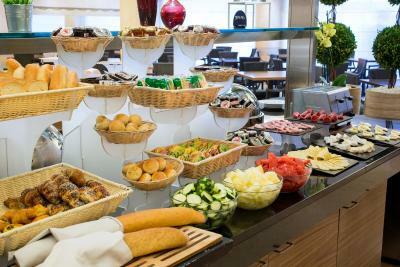 - No asian items in the breakfast buffet. at least congee should be available. - the view from the room, the basilica was fabulous. - The facilities in the room- coffee maker, refrigerator Tv etc., - Front office staff are very helpful. - Snack dispenser in the lobby level, very convenient. 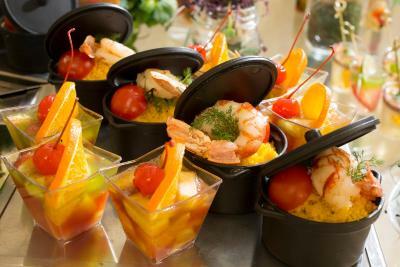 they have bistro and restaurant covering almost any time of the day, food is good.